Hundreds of new apps hit app stores everyday but only a few of them actually manage enough downloads to sustain their app as a business. A majority of these new apps just get discontinued within one year from the launch. But this grim side of the story is not all. Obviously there are lots of apps across diverse niches that hit millions of downloads, even some of them just do it overnight or within the first few days of launch. What makes these apps achieve such overwhelming kind of success? 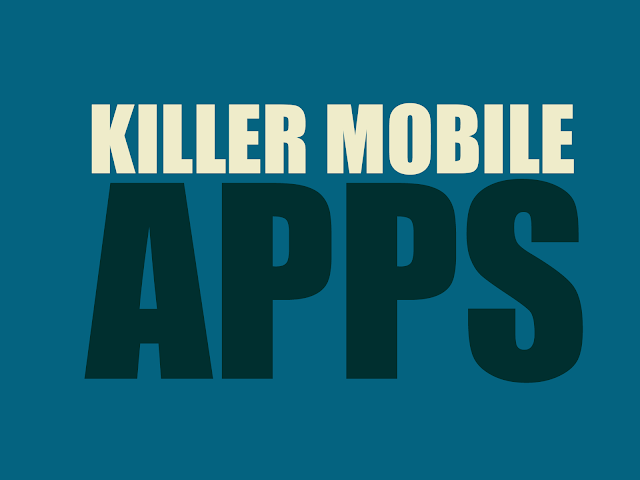 There are various factors that positively push some apps in the popularity matrix. Let us introduce here 11 steps for creating a successful mobile application. As the technology is moving fast paced so is the development of Apps. Over these couple of years, we have seen so many apps being developed and many being favorite of the users too. Today an app for every small work has become important. Be it shopping online, booking a movie ticket, ordering your pizza, calling for some services, booking a cab, and a lot more that can be done through the mobile using the apps and hence had made life simple and easy for all. We all know that it is not possible to carry a laptop or be on a computer all day long; hence, the invention of Mobile Applications has become a boon to most of us. Smartphones was the first blessing that we got from the mobile makers and then the apps that made life all more hassle free and smooth. The future that we see for the Mobile Apps is just going to grow. Sky is the limits for the Mobile Application Developers. Today there are apps for small & big businesses both. Mobile Apps allows you to save your time, money and keeps you engaged in it when you do not really have anything to do. The Games applications have been the best time pass for most of the people. Here you will find even the older people playing the games and making record-breaking scores. Now transferring money, booking a movie ticket, making photo collages all has become so easy with the different apps. That day is not far off when there would be personalized apps for each person for various activities. An app allows you to do multiple things. Mobile apps are a boom in the current market and the future is sure to be much higher than this. Where in the past, we had just one or two companies developing apps, today, almost every company has an app developer in their company. This shows that everyone wants to be a part of this race and wants to win at their own cost. The competition is now about how user friendly the app is how easy it to navigate the various features of the app is. Therefore, with the increase in demand for mobile app developers we will soon see that there may be colleges for the special education related to mobile applications development. Specialization would be classified as per the demand and requirements of the market. Today a developer is not just hired to develop an app, but to develop an app that has features not present in any other app. It is extremely important that the app gains maximum popularity. Mobile Application and personalized cloud integration services will soon be a core part of every company in the near future. When you can ease the daily tasks with your fingertips on your mobile phone, why go anywhere else. Below are some tips for you to create your own mobile app and launch it with success. Every app serves a purpose or offers a solution. Now more uniquely or in more user friendly way this solution is offered to the users the better. So, in the beginning it boils down to three aspects. Who are going to be your preferred users? What unique proposition you are going to offer through the app? How you are going to make your app a very needful one for them? Setting goal for your app requires having clear idea about these 3 aspects. Obviously successful apps make you learn a lot regarding every aspect related whether development, marketing, launch and service part. Following blindly any successful apps cannot always yield you results as your focus area may differ from the app you have set as role model. Rather analyzing every different type of strength separately and then combining them is a better idea. For instance, the marketing maneuvers of some apps can be ideal to follow while revenue model of some apps of your niches can be better as ideal for you. For Your inspiration checkout some of these apps. Penning down everything on paper sometimes is immensely useful as it clearly shows your plan and step by step execution and achieved steps. Insist on doing enough paper work and clear documentation concerning every step in development process, testing, pre-launch and post-launch marketing, revenue model, promotional campaigns, etc. More you get deeper into the various popularity factors responsible for making an app overnight success, more you scrutinize the factors that make app store traffic avoid certain apps, you will be knowledgeable enough to step on the right track to boost the downloads for your apps. There is an array of great research tools that will clearly show your shortcomings and competitive analysis. Besides depending on your own research apparatus take help from these research tools as well. Use Search Engines - Google is your best friend to start searching for existing mobile apps about your requirements. However do not forget to consider results from bing and yahoo as well. Use Mobile App Stores - Even if your app is focused on one type of device, you may still get good knowledge on Apple Apps store, Android marketplace and Windows marketplace. Use Forums - Visit mobile user forums and check for what they are complaining about. Try to address those pain points in your app. Make Your App Free From Non-essential Features - There are many apps that offer an array of features actually not used by the users but they unnecessarily make the clutter and make the app slower. Remember, users generally prefer clear app features that have something to do with the core purpose of the app. So, remove all non-core features to make it more purposeful and user friendly. The best resource for create a a highly usable application is the book by Steve Krug. This is one of the best usability books ever written. This book provides a common sense approach for web usability, however these concepts are equality applicable for any mobile application as well. The developers actually go through the procedure of app submission in stores. So, having their own account with major app stores would help them in numerous ways. Open a developer’s account with both Apple and Google and other app platforms as well to present your app to the broader audience. Before setting out with your coding maneuvers it is important to have a clear idea of the app will have a look and feel. A great app developer must concentrate on a few things when designing an app like a superb UI, great multi-touch and gesture interface and considerations regarding platform specific designs. UI design is the top priority for majority of app designers and often it plays the most formidable role in making an app a success. Testing and retesting your app and assuring its performance is one of the most important aspects for making an app popular. To pass the qualitative test in app stores also it is essential to test the app performance before submitting it to the app stores. Before submitting the app to the stores make sure that they are absolutely bug free and performance optimized. Beta testing your app is one of the best ways to get direct feedback from the users before coming out with the final version of your app. Through beta testing you get the initial push in the app store while making the app even more perfect for the future. When developing an app revising at every step is important. An app should always subject to continuous development to address shortcomings and incorporate new elements with frequent updates. Revise your app and develop further to come up with upgraded version endowed with new and innovative features and useful functionalities. More frequently you can come with valuable upgrades with new features, better the chances of your app in stores. Finally before submitting your app to the app store carefully read the app store submission policies of different platforms. Consider addressing all the design, development and marketing issues to conform to the app store regulations. Remember, taking time to fine-tune your app for the app stores is better than submitting the app in a rush and getting rejected. Finally, marketing your app is the most important post development process to ensure your app steady flow of revenue. A pre-launch marketing campaign on web, social media and across other media would help you to garner public interest initially. In the post-launch phase make sure that the app is reviewed by top review sites and media publications. To look into sales, traffic movement and app store performance you can take help of an array of tools as well. The above mentioned steps for making your mobile app successful are ok as long as you has something unique to offer to your audience. Yes, more than anything a unique idea and user-friendly feature set counts as the foremost success factor. This article is contributed by Dhruv Malhotra and Ronak Meghani. Dhruv Malhotra is a founder of Eye Universal, a world class mobile app development company - Eye Universal in San Diego. He share his views on current industry trends on android, iOS app development and web development. Ronak Meghani is the Co-founder of Magneto IT Solutions, Provides cutting-edge IT solutions right from the web development, Mobile Apps development to Digital marketing. A highly talented and cooperative team of 50 professionals is the main asset of his organization. Ronak has started the venture with the mission to be a top-notch IT service provider and within 5 years he has 500+ client bases globally. Connect with me on skype: ronak.meghani OR by emailing on info@magnetoitsolutions.com for a quick chat on any of these topics.